Results from Dr. Gilbert’s 1993 survey of the causes of blindness in children enrolled in special schools in Chile found that a high percentage of the children were blind from a preventable and treatable disorder: ROP. Dr. Gilbert later found very similar problems in a large number of other “middle income” countries in the world and worked with a colleague to estimate that over 32,000 infants born preterm are becoming blind or visually impaired from ROP every year. She developed a system for classifying the causes of blindness in children and has gone to a large number of countries to educate medical and nursing personnel on ways to detect, treat and prevent ROP. Dr. Gilbert traveled to Russia four times with Dr. Richards to hold national and regional ROP conferences. 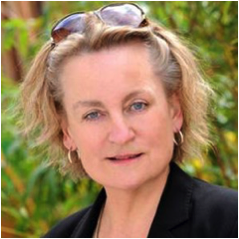 Dr. Gilbert is Professor of International Eye Health in the International Centre for Eye Health (ICEH) and is a Scientific Program Advisor to The Queen Elizabeth Diamond Jubilee Trust. Since January 2002 Clare has co-directed the eye group and has been a member of the School’s Ethics Committee. She is presently extremely active in India, supporting implementation of The Trust’s program to combat the epidemic of childhood blindness from ROP in that country. Dr. Quinn is the only active physician among the group that developed the International Classification for ROP in the 1980s — the standard method for describing the eye changes in ROP in the entire world. He also was part of the Cryo-ROP study that was the 1st large study to demonstrate an effective treatment for ROP, both in terms of retinal changes and visual function. Dr. Quinn was also a leader in the ET-ROP study that developed the present guidelines for treatment of active ROP. Dr. Quinn has worked closely with Dr. Richards since 2008, when the first contacts with Russia regarding ROP were made. He has traveled to Russia four times with Dr. Richards and has given a number of presentations on behalf of ESI in various countries. Dr. Quinn is on the board of directors for Eye Samaritans International, and he travels to many regions of the world to train other physicians and medical personnel how to detect and treat ROP. Eye Samaritans International has established The Graham Quinn Honorary Fellowship for neonatologists, NICU nurses and pediatric ophthalmologist in middle-income countries to train in London, England in order to recognize the steadfast dedication Dr. Quinn has given to prevention of ROP blindness throughout the world, as well as his efforts on behalf of Eye Samaritans International. Dr. Husain’s vast knowledge of neonatology include the problems affecting the middle-income countries affected by the epidemic of ROP blindness. He travels the world teaching neonatologists and NICU nurses on methods to improve neonatal care and prevent ROP. 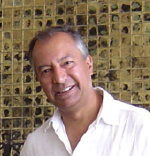 Dr. Husain was an essential part of the teaching staff at ESI’s large ROP conference in Budapest, Hungary 2014, where neonatologists, NICU nurses and ophthalmologists from six countries gathered to learn to treat and prevent ROP. Dr. Husain and Dr. Richards travelled to Ekaterinburg, Russia in 2016 for an additional ROP conference and to Kyiv, Ukraine in 2017 to train neonatologists and plan for further work to combat ROP blindness in that country. 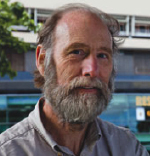 Dr. Darlow is an academic neonatologist who was formerly Chair of Pediatrics at University of Otago, Christchurch, and the Cure Kids Professor of Pediatric Research. Eye Samaritans is fortunate to benefit from the vast knowledge and experience in neonatal care and the prevention of ROP that he brings to the team. 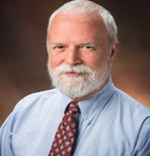 Dr. Darlow’s research interests include free radical disease in the newborn and the epidemiology and outcome of complications of prematurity, and he has published extensively on his findings. To treat and prevent Retinopathy of Prematurity which is the leading cause of blindess in 1.5 million children wordwide. ©2016 Eye Samaritans International. All Rights Reserved. 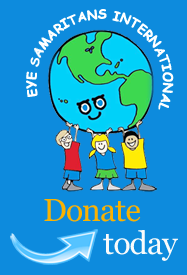 Eye Samaritans International is a nonprofit 501(c)(3) organization.